Hello Sandwich's new bento and bento case (thanks Mr Y) during Japanese class lunch break. 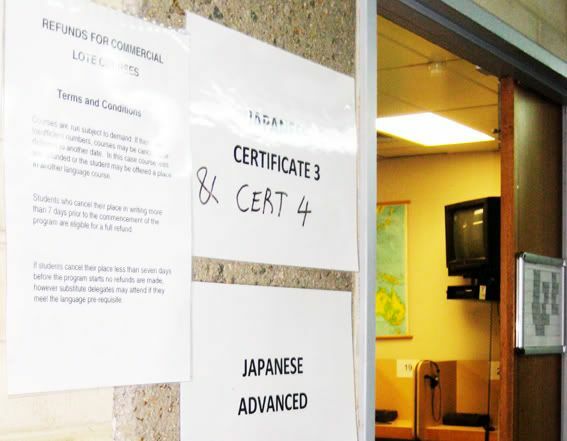 Recently I made the decision to enroll in Japanese Certificate lll at TAFE. Although I had just finished Certificate II a few weeks ago, somehow Certificate III feels so much harder and like I missed an entire years of classes in between! My new teacher has decided that 'at our level', most of the class will be in Japanese! Eek! For example, if you want to ask what a particular word is in Japanese, or if you need to leave the classroom for a moment, you have to ask in Japanese. Also my kanji is really not up to scratch for this level! Sigh! Well this can only mean one thing! The return to the good old flash cards! I'll be making some new ones this week. A LOT of them! And the other thing I am looking into to help me out with my characters is a Japanese Electronic Dictionary. Have you got one? If you have any tips for ones most suitable for gaijin I would love to hear! I have been looking here, here and here for some advice on Japanese Electronic Dictionaries and Nintendo DS. This site seems to be quite good for ordering from outside Japan. 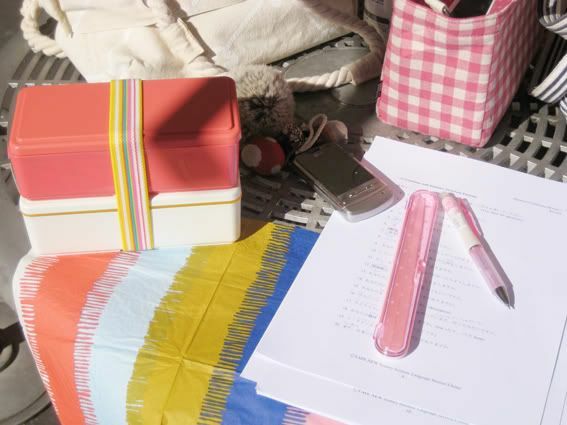 I am also going to challenge myself this year by taking the Japanese Language Proficiency Test. For those of you living outside of Japan, and also interested in taking the exam, here is the list of the exam dates. The Sydney test takes place on December 6. Eek! Not long to go! 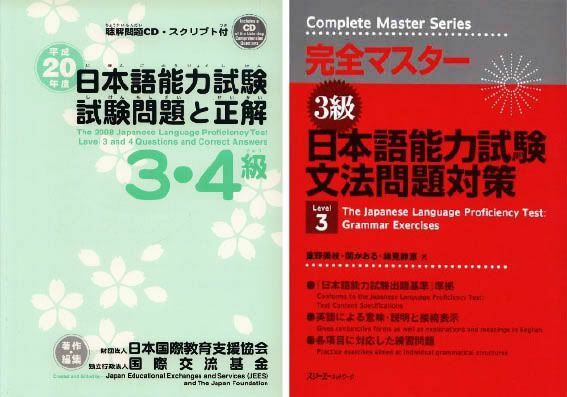 If you are interested, the Meguro Language Centre has some excellent JLPT preparation material that you can download which is also very useful for all Japanese language students, not just those preparing for the JLPT. There are some great sample exam question books to help you prepare too. You can flick through some at Sydney's Japan Foundation library, or, if you are anything like me, and believe that owning more Nihon-go books instantly makes you better at Nihon-go, then head straight over to Kinokuniya to pick up your copy! Think the JLPT isn't challenging enough? Why don't you give the Japanese language speech contest a go! Now if that doesn't give you sweaty palms! Some other useful Japanese language sites are Nohongo-Juku and Yookoso. And for more info, check out my Nihon-go post.